When you reach for the moon sometimes you land among the stars. Santiago’s biggest dream is to perform on stage. But when he doesn’t get the lead role in the school play, he can’t help but doubt himself. Encouraged by his father’s inspiring words, Santiago rebuilds his confidence and finds that with passion and dedication, you can achieve amazing things beyond your wildest imagination. 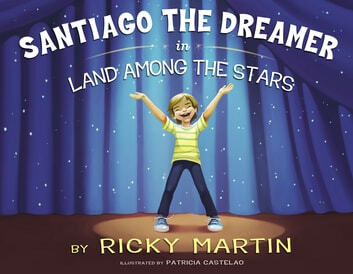 From international superstar Ricky Martin, comes a timeless story of a boy who follows his heart and a father who believes in his son’s boundless potential.